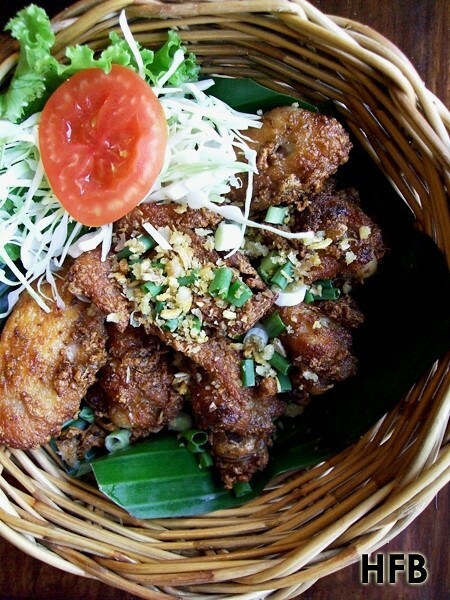 A recent trip to Bangkok allowed HFB to discover a real Isaan restaurant in the heart of Bangkok. 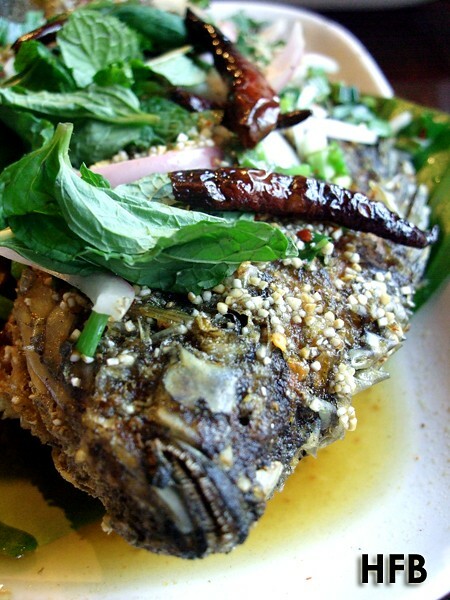 By Isaan, he meant the north-eastern region of Thailand, in which culture and cuisine is largely influence by the nearby Laos – with the most obvious characteristics being the use of sticky rice that accompanies almost every meal rather than plain rice, as well as fiery chillies used in their cooking. 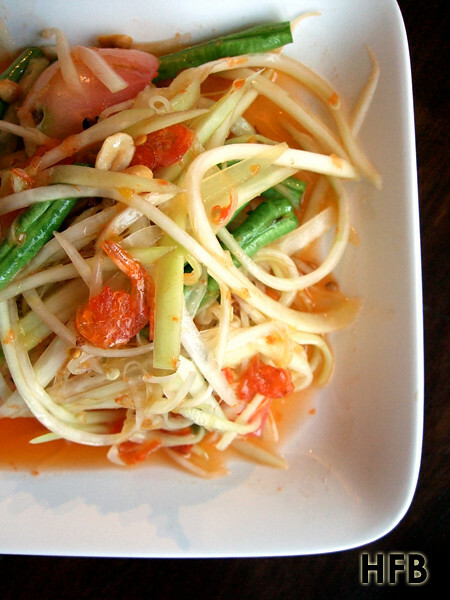 One of the traditional dishes from the region includes the Som Tam, or Green Papaya Salad. 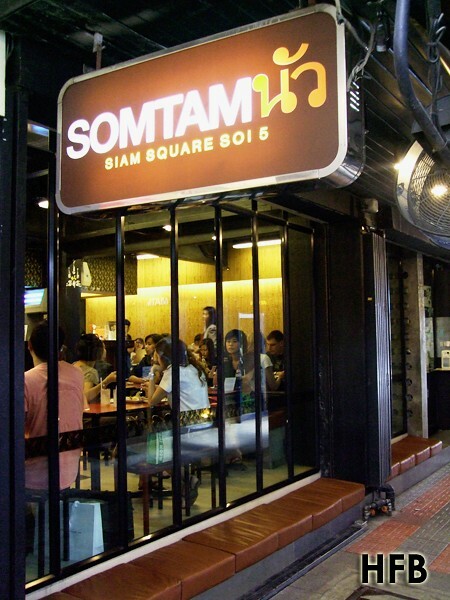 And over at Som Tam Nua, or Som Tam Paradise located at Siam Square Soi 5, this is probably the place to find the freshest and most delicious Som Tam. Every bite came with a nice crunch and an explosive burst of flavours – sour, sweet and spicy! How delightful was it. HFB was also a fan of their Kai Thot, or Fried Chicken, or in this case, fried chicken wings. Nicely crisp exterior and well-marinated within, the meat was luscious without being too oily. In fact, it was so delicious and flavourful that the table next to us ordered a second portion right after they were done with their first! HFB always had a thing with Thais and their Deep Fried Fish, so one shouldn’t fault him if he couldn’t help but order one, which turned out to be a Tilapia (not actually his favourite type of fish though) that was excellently executed – brilliantly deep-fried! With the accompanied condiments and sauce over it (though it might get a tad salty towards the end, probably the fish sauce), the fish was an excellent dish to go with the sticky rice. The least memorable dish of the day though was their uninspiring Minced Pork with Basil. To simply put it, it was well... minced pork with basil. And oddly so, the sauce for this stir-fried dish tasted very similar to the one poured over the deep-fried tilapia. 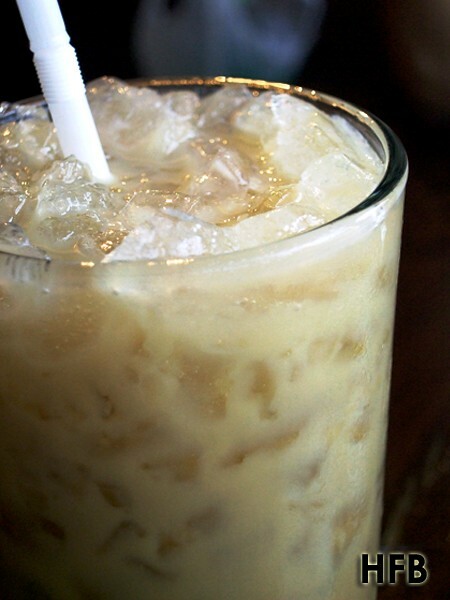 And to dose out all the fiery from bird’s eyes chillies, what’s better than a nice chilled glass of Cha Yen, or Thai Iced Tea?